Spouses transitioning out of married life may encounter a number of financial challenges as they adjust to being single. There may be new bills to pay, relocation costs, educational or training expenses and childcare. Bridge-the-gap alimony is designed to help those spouses make the transition by funding foreseeable, short-term expenses. Awards of bridge-the-gap alimony are designed to support the receiving spouse for a temporary, set period of time. Bridge-the-gap alimony may not exceed two years. This type of alimony award may be paid periodically, in a lump sum, or by some combination of the two. In most situations, bridge-the-gap alimony is used to fund basic living expenses of the lower-earning spouse. 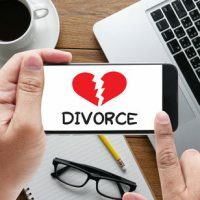 The expenses must be “legitimate and identifiable.” To receive this alimony award, the lower-earning spouse must provide a specific description of why he or she needs transitional support. The receiving spouse must also describe how the alimony award will be used. Bridge-the-gap alimony is available to lower-earning spouses that have the ability to become self-sufficient. Courts presume that the receiving spouse will take steps toward complete financial independence. Unlike durational and permanent alimony, courts do not factor in how long a couple has been married when awarding bridge-the-gap alimony. However, bridge-the-gap alimony is typically awarded in cases where couples were married for less than seven years. Longer marriages may justify other forms of alimony. Can Bridge-The-Gap Alimony Be Modified? Bridge-the-gap alimony cannot be modified. Unlike other forms of alimony, bridge-the-gap alimony is final after a court order. Under very limited circumstances, bridge-the-gap alimony may be terminated. If either the paying spouse or the receiving spouse dies, then the obligation to pay bridge-the-gap alimony ends. The paying spouse may also be relieved of further payments of bridge-the-gap alimony if the receiving spouse remarries. Bridge-the-gap may also be combined with other forms of alimony. A court may also award rehabilitative, durational or even permanent alimony depending on the circumstances. Bridge-the-gap alimony allows divorcing couples maintain the same marital standard of living as they experience a major change in their lives. It is not designed to punish the higher-earning spouse or provide for the long-term care of the lower-earning spouse. Though a bridge-the-gap order cannot be modified, it is temporary and will last no longer than two years. If you have questions about bridge-the-gap and other forms of alimony, you can contact our family law attorneys at Arwani Law Firm ,. We have handled complicated high conflict divorces, and we are confident that our team can provide you with the legal assistance and attention that your case requires.